An in-depth look at Amanchu! 's director, Junichi Sato! The spotlight for this week will be on Junichi Sato, famed shoujo and magical girl anime director best known for his healing touch of fairytale realism. When one thinks of anime directors with a commanding voice, the humble Junichi Sato may not be the first name to spring to mind. Unlike his fellow Toei Animation colleagues Kunihiko Ikuhara and Takuya Igarashi, Sato’s style isn’t as easily distinguishable. To give an analogy: if Ikuhara were the mastermind behind a theatre play’s conception, Sato would be more akin to a backstage technician, deftly ensuring that the entire production comes together. It’s Sato’s exemplary handle on sound, music, and visuals that define his modest yet evocative style of fairytale storytelling. Sato’s foray into anime began in the early 80s at Toei Animation. From the get go, Sato was heavily involved in the creative process of anime, serving as a production manager and episode director. By the start of the 90s, Sato had already become a prominent series director with multiple children’s anime under his belt such as Maple Town Monogatari and the anime adaptation of Shigeru Mizuki’s Akuma-kun. As a result, Sato was one of Toei’s prime candidates to direct the anime adaptation of Naoko Takeuchi’s now legendary magical girl franchise, Bishoujo Senshi Sailor Moon. While the roaring international success of Toei’s Sailor Moon anime was a joint effort between Sato and Ikuhara (who took over the series in its later seasons), Sato was paramount in establishing Sailor Moon as the queen of magical girl anime. As the anime started its run alongside the publication of Takeuchi’s manga, Sato and co. faced the dilemma of adapting a small amount of material into a year-long anime. Additional hurdles such as the anime staff only having access to rough details about characters and plot threads meant Sato had to create much of the anime’s narrative from scratch. Although Takeuchi’s manga was heavily focused on the core plotline of the sailor senshi combating the galaxy’s forces of darkness, Sato’s anime was more laid-back in comparison. 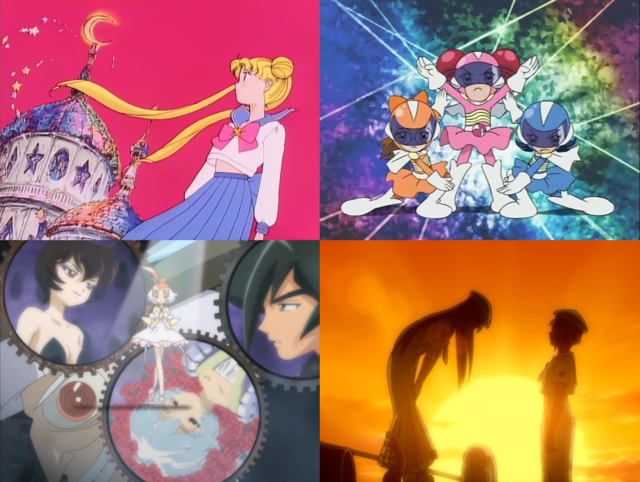 Sato was already adept with the long-running format of Toei Animation’s children’s programming, and approached Sailor Moon from a similar angle. The action aspect of Takeuchi’s manga was one of the selling points of its success, as prior magical girl narratives did not feature combat and strayed away from physical depictions of violence. Sato combined campy tokusatsu-influenced monster battles with lighthearted slice-of-life segments in Sailor Moon to pioneer a new age of magical girl anime in the 90s. Additionally, Sato wanted to stress the fact that although the heroine Usagi and her fellow sailor senshi were planetary warriors of justice, they were also adolescents with individual identities of their own. Sato understood the episodic structure of the Sailor Moon anime and gave each of his screenwriters and episode directors plenty of creative leeway in the anime’s production. 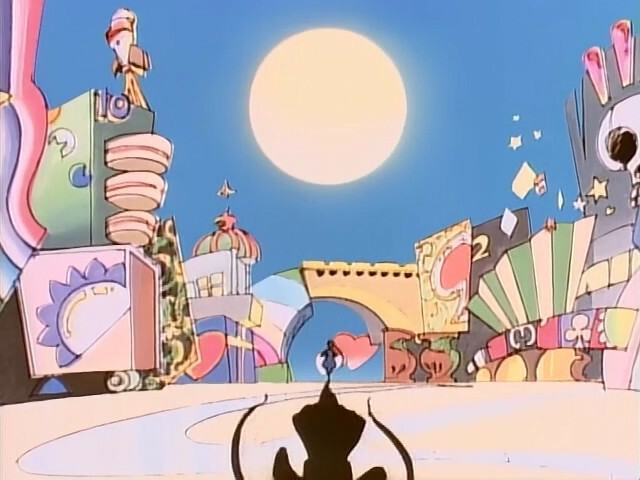 The Sailor Moon anime featured episodes where Usagi and her friends went to haunted houses, dreamlike theme parks and ski resorts – which in turn helped flesh out their personalities. Dialogue between Usagi and the sailor senshi veered between chats about romance to humorous bickering, which in turn made the girls more personable than they were in Takeuchi’s manga. Sato’s slow-paced, nuanced approach toward character development was a perfect fit for a long-running magical girl anime. Following the success of the Sailor Moon anime, Sato assisted in the production of other landmark anime including Shinichiro Watanabe’s Cowboy Bebop, Hideaki Anno’s Neon Genesis Evangelion, and Kunihiko Ikuhara’s Revolutionary Girl Utena. 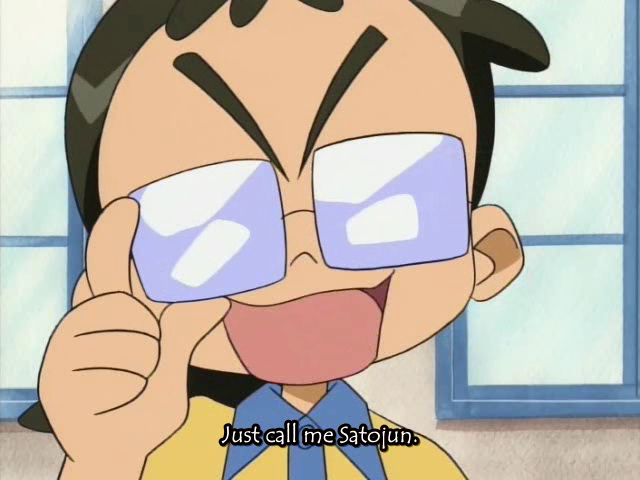 However, Sato’s home was always with shoujo and children’s anime at Toei Animation, and right before the turn of the new millennium, Sato returned to his roots with many of his old Sailor Moon buddies to create Ojamajo Doremi. While Sailor Moon beckoned a new age for battle-heavy magical girl anime in the 90s and 2000s, Ojamajo Doremi was a return to the genre’s more classic roots. Carrying the traditional motif of witches, Ojamajo Doremi was a contemporary magical girl anime with a focus on fostering a sense of community. The heroine, Harukaze Doremi, and her companions would often use their magical powers to solve the everyday problems of their classmates and families. 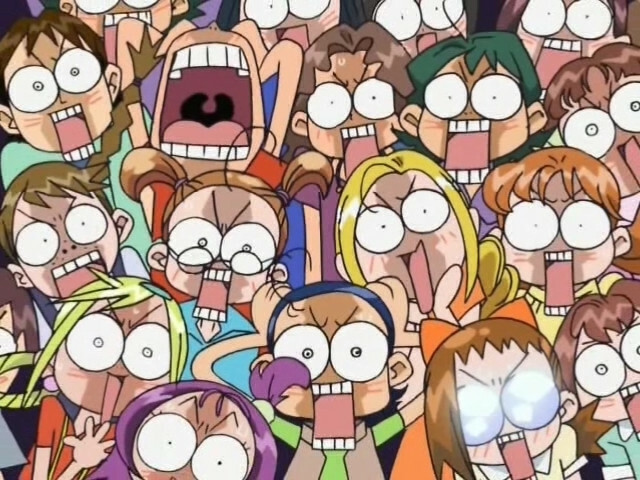 As Ojamajo Doremi went on, background characters became regular faces in the crowd with their own ongoing story arcs. 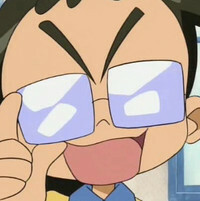 Sato’s penchant for gradual character development was one of the reasons why fans of Ojamajo Doremi became so attached to its large and diverse cast of side characters. Even after Sato passed on his responsibility of series director to Takuya Igarashi, his groundwork for the franchise ensured its success across its four-year run. 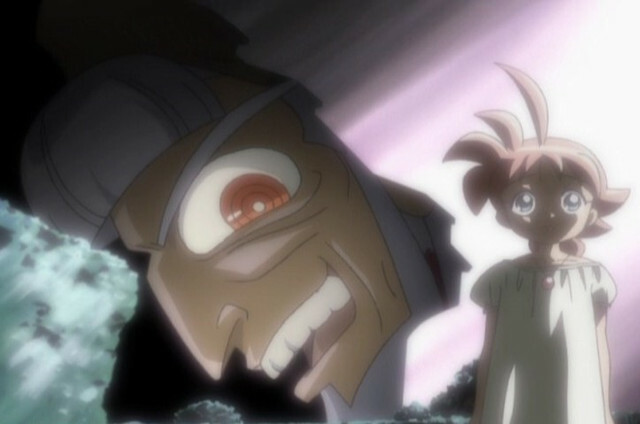 Sometimes relaxing and sometimes hilarious, Ojamajo Doremi was a high-spirited magical girl anime that would make you laugh and cry alongside its charming cast of humans and witches. The 2000s would mark a brand new era for Sato as a director of anime. At the turn of the century, Sato joined the studio Hal Film Maker to continue directing shoujo and magical girl anime. Alongside his former Sailor Moon animation director, Ikuko Itoh, Sato created Princess Tutu – a magical girl anime that is in many respects the culmination of Sato’s style and career. Although a bit of a sleeper hit amongst anime fans, Princess Tutu was one of the most ambitious entries in the magical girl genre to date. Inspired by the classical ballet of Tchaikovsky’s Swan Lake and the children’s fable The Ugly Duckling, Princess Tutu was a metafictional masterpiece of traditional and postmodern magical girl storytelling. Sato and Itoh’s Princess Tutu pushed the boundaries of magical girl narratives to examine and question character roles, motifs and tropes found in fairytales and shoujo anime. At the whims of an enigmatic storyteller, the cast of Princess Tutu frequently grapples with their own fates and purpose in the story they are a part of. Over the course of the anime, antagonists become unlikely heroes, tragedies are subverted, and ducks and anteaters face off in ballet battles. Stylistically, Princess Tutu is one of Sato’s best-realized anime. Contrasting the tenderness of a warm color palette with the nightmarish fabric of the Raven King’s and Drosselmeyer’s ominous presence, Princess Tutu constantly plays with its audience’s perception of fiction and reality. Additionally, although Princess Tutu follows a similar episodic structure as Sailor Moon, Sato’s decision to use dance in lieu of violence to resolve conflict carries a great deal of emotional tenderness. As more and more magical girl anime turned towards physical combat in the 2000s, Sato’s peaceful approach resounded deeply for many audiences. The mid to late 2000s would have Sato shift away from magical girl and shoujo anime and more into iyashikei narratives. In this respect, Sato’s anime adaptation of Kozue Amano’s ARIA was a perfect fit for the experienced director. Set in a terraformed colony on Mars, ARIA’s recreation of Venice, Neo-Venezia, was the ideal setting for Sato to adapt Amano’s science fiction fairytale. 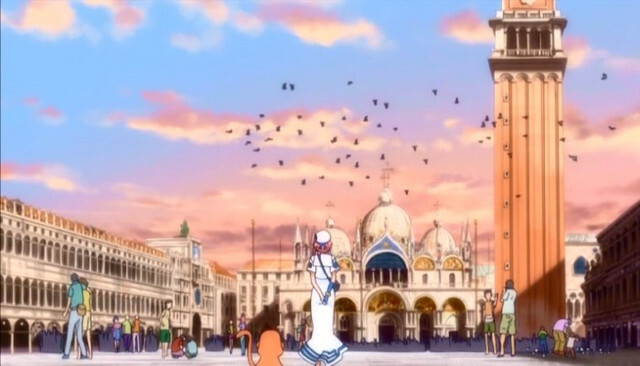 Despite a noticeable drop in art quality from Amano’s gorgeous artwork, Sato was very conscious about preserving the accuracy of Venice's locales throughout ARIA's anime. Additionally, Sato relied on the ambient and soulful music of Choro Club to bring Neo-Venezia to life. Even the simplest everyday occurrences would have music playing in the background, as Sato believed music and sound were paramount in turning ARIA’s setting into a living, breathing world. At his current juncture in time, Sato still continues to direct slice-of-life anime. Tamayura, often seen as the spiritual successor to ARIA, as well as the anime adaptation of Kozue Amano’s Amanchu! are two of the director’s latest ventures. Although some anime fans may see Sato as a less notable figure than his Toei Animation colleagues, he is still one of the hallmarks of magical girl and shoujo anime. Sato’s subtle healing touch may not be for every audience, but for those who enjoy warm and relaxing depictions of life with a pinch of fairytale magic, Junichi Sato is an anime director well worth checking out. Let us know your thoughts on Junichi Sato and his anime in the comments below? Which of his anime are your favorites? Brandon is a Brand Features Writer for Crunchyroll and also writes anime-related editorials on his blog, Moe-Alternative. Hit him up for a chat on his Twitter at @Don_Don_Kun! junichi sato, sailor moon, ojamajo doremi, princess tutu, aria, amanchu!